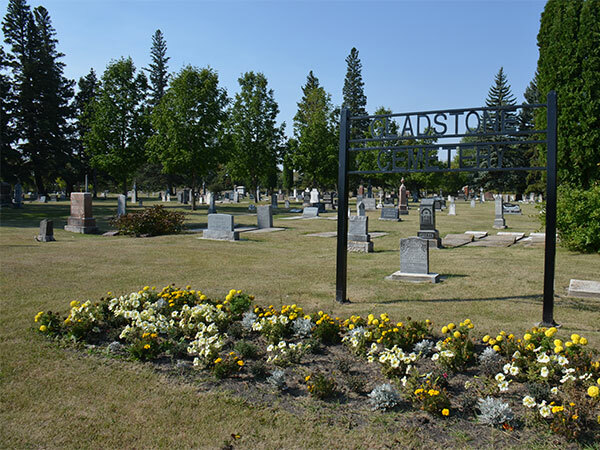 This cemetery is situated in the Municipality of West-Lake Gladstone, due south of Gladstone. A list of burials in this cemetery is available from the Manitoba Genealogical Society, including a searchable online database available to members at the MGS Manitoba Name Index (MANI). Some additional information is contained in the 1996 MGS publication Carved in Stone: Manitoba Cemeteries and Burial Sites, revised edition, Special Projects Publication, 106 pages. This page was prepared by Gordon Goldsborough and Gordon McBean.